You may have noticed our new bike rack outside the main entrance. Thanks to Friends Of Hollywell for raising the funds for the purchase and installation. At the moment the number of bikes arriving to school is not outnumbering the number spaces, until it does we can continue with this approach. 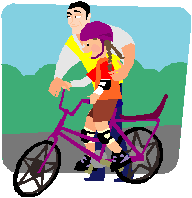 Children in Year 3 and Year 4 had a Bikeability courses in December. Level 2 and Level 2+ courses, for Year 5 and Year 6 are now being organised and your child will have received a letter if they are eligible and are on the next course. The first course will be held immediately after the Easter break. Please see the calendar for dates.